Home » Beauty Room » IPL vs. Laser: What's the difference? What’s the difference between laser and IPL (Intense Pulsed Light)? Both laser and intense pulsed light (that’s IPL to you and me!) use light to heat the hair follicle and prevent regrowth. However, the technology used to deliver the light is really quite different – with the key difference being the kind of light itself. In short, lasers produce a very specific type of light consisting of one wavelength or colour of light all going in one direction, which creates a single beam like a laser pointer. IPL devices produce a wide range of wavelengths of light to produce a single white flash. This light is closer to natural light and can appear with an orange/red glow when the device is flashed against the skin, like a camera flash. Ok. But how does it work? 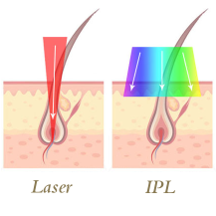 The light (laser or IPL) enters the skin and is absorbed by the melanin (pigment) in the hair shaft. The absorption of light causes the hair shaft and follicle to heat up. If the correct amount of light energy is used, the hair follicle cells are heated up to a critical temperature that results in an interruption of the hair growth cycle. Dependent on a number of factors, the effect can be permanent or temporary. 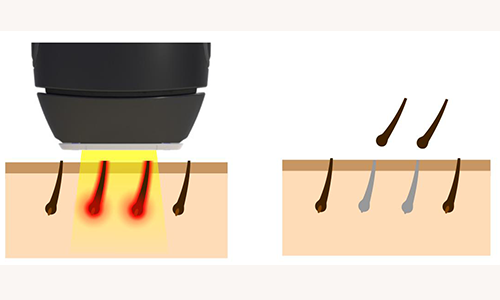 One of the primary objectives for light-based hair removal using either laser or IPL is to achieve this critical temperature in the hair follicle whilst at the same time not heating up the surrounding skin to a temperature that could cause damage such as a blister. 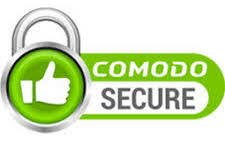 This is achieved by careful control of the amount of light output. What does all this mean in relation to the actual treatment? So, which one is better for me?